Congratulations, you are about to make one of biggest decisions of your life. This is a decision that you are unlikely to make more than a few times during your lifetime. No, I’m not talking about the decision to sell your house, although that decision is pretty big. An even bigger decision is choosing the right person who will find that buyer for you. How many hundreds of thousands of dollars are involved in this transaction? And what kind of expertise and advice do you think you’ll need? Since you’re reading this, and you’re actually investing the time to interview, you already realize the importance of this decision – so congratulations! This article will give you a LOT to think about, so let’s get started. Here are a few things to consider, whether you are buying or selling or both. Interview multiple agents. Most agents are better at selling themselves than they are at selling your house or helping you find the right home. How you learn those differences and find the one that’s the best fit for you is by interviewing as many as you can (at least 3). Don’t sign anything until you complete all of your interviews. Don’t fall for the tactics used to get you to sign “right now”. Does it seem like they are focused on their needs or yours? Your gut will tell you. 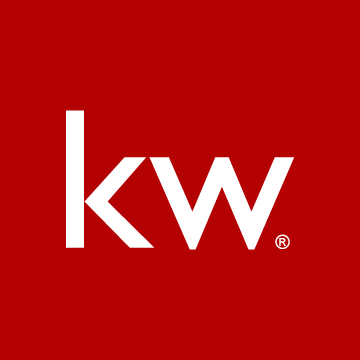 Check out their reviews on Zillow (it’s the Google Reviews & Yelp for real estate) and on Google. How many do they have? Don’t settle for less than 50. Don’t expect perfection, not everyone is going to 100% happy, but look at the general consensus. Are they generic in their praise, or are they specific for what value they provided? Here’s how to find their Zillow Profile: From www.Zillow.com, click on Agent Finder (at the top). Fill in the zip code and the agent’s last name. In the results, click on the name and you’ll be at their full profile where you can see all of the reviews; current and past sales (in a list and on a map). As an example, click here for ours. 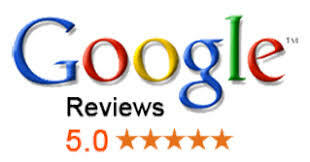 Here’s a link to our Google reviews too. How do you get out of the contract if you’re not happy? Is this in writing up front (and also signed by the broker)? Are you willing to risk your relationship if they don’t perform as you expect? Are you going to pass up someone more qualified, and take the increased financial risk by going with a friend who could be less qualified)? This can be a tough choice to make. Do they think like a seller? Find out how many homes they have personally owned and sold. Do you think someone (like us) who has personally owned over 170 properties thinks like a seller more than the average agent (who doesn’t even own their own home)? Example: A seller would not usually invest $5,000 to prepare a house to sell if they knew they are likely to get only $2,500 back, yet this is very common advice given by many REALTORS who only are interested in a higher sales price/commission. Check their sales statistics: How much more do their sellers make compared to working with the average agent? (FYI our sellers average about 4% more, in about half the time). Look at their current and past listings. Do you want your property represented like this? Check out the photos, videos, descriptions, accuracy, etc. You’ll find ours by clicking here. What do they do to market the property besides put it on the MLS (and all of the “free” stuff that happens automatically by putting it on the MLS)? This can be tricky, because many agents are trained to make it sound like they are doing more than just the MLS, so get a specific list. Compare that list to the others you interview (including our Ultimate 57-Point Market Plan, which is getting our sellers about 4% more than the average agent and selling in about half the time). Are they better at selling themselves vs. selling your property? The reality is, 95% of the training that REALTORS take is on how to sell themselves, not how to sell real estate. How are they accountable to you? How do you know they are doing what they say they will do to market your property? If they don’t meet your expectations for exposing your property, how do you exit the listing agreement early? What is their fee if *you* find the buyer? Does it really make sense to pay a commission if you sell it yourself? How will they update you on calls and showings? Will you get feedback and when? When will they review their marketing strategy with you and make adjustments based on how the market is reacting to what you are offering? Or will they list your house, turn the file over to an assistant and you’ll never hear from them again? Do they think like a buyer? Find out how many homes have they personally bought. Do you think someone (like us) who has personally owned over 170 properties thinks like a buyer more than the average agent (who doesn’t even own their own home)? Example: Will they notice potential problems with the home and alert you to them? Sure, you’ll get inspections, but wouldn’t you like someone who will notice the leak under the sink, or the landfill nearby and ask questions to get you thinking if you want to live with these things? Check their sales statistics: How much do their buyers save compared to working with the average agent? (FYI our buyers save on average about 2.5% more). Could increase your options as much as 20%. You’ll have little to no competition with other buyers since this is not a public list. In a strong sellers market, this could be the big advantage you need! What happens if you complete your purchase and then change your mind weeks later? I hope this article helped you understand the importance of your decision for who to hire, and gave you a starting point for some of the questions and information you should be seeking from your prospective REALTORS. Did you notice that none of the criteria included commissions and fees? Why is that? Have you ever bought something at a discount and then regretted it later? Exactly – you get what you pay for. You’ve read this far, so clearly you understand that the person who’s going to represent you is not a commodity (that is, they are not all the same), but can either be a big asset or in many cases an even bigger liability. If you’d like to interview me, my wife/partner/REALTOR Ann and/or any members of our team, we’d appreciate the opportunity. Our interviews are 2-way. Surely you have your questions you’ll want to ask (besides what’s included in this article), and we will have questions for you too. After all, we turn down clients who we don’t feel we can help – so yes, it’s an interview to be sure it’s a good fit for all of us (and needless to say, totally no pressure).